My mom’s friend Priya has been mentioned several times in my posts about these gluten free and vegetarian and vegan foods I tell you about. 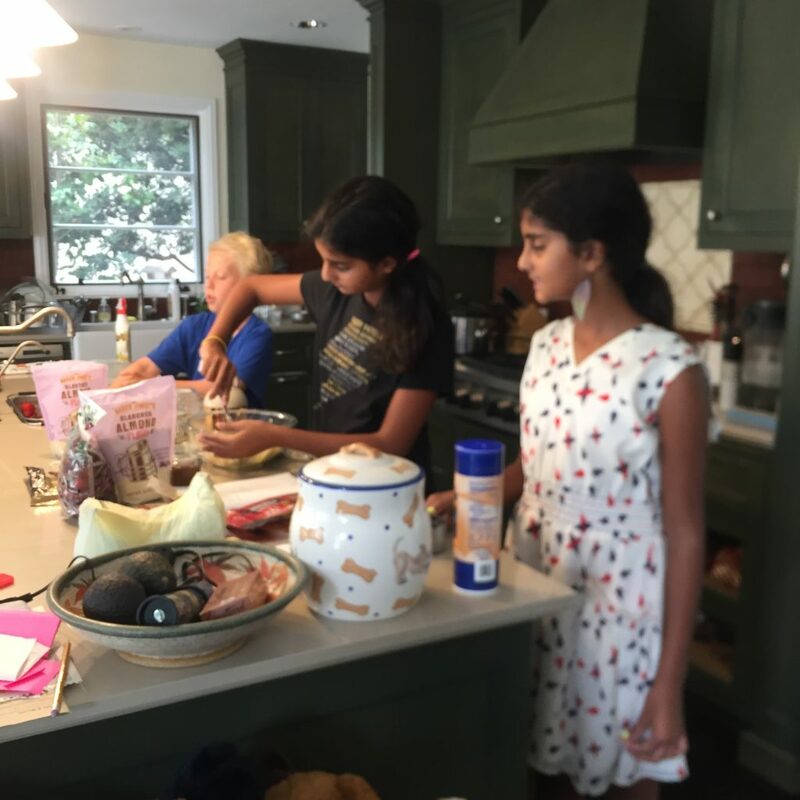 Well, my mom and Priya decided to get together for some baking along with me, my brother, and Priya’s two daughter’s, Uma and Miya. We planned to meet at our house at a sharp one o’ clock, (although it ended up being about a sharp 1:25 in the afternoon last Saturday). 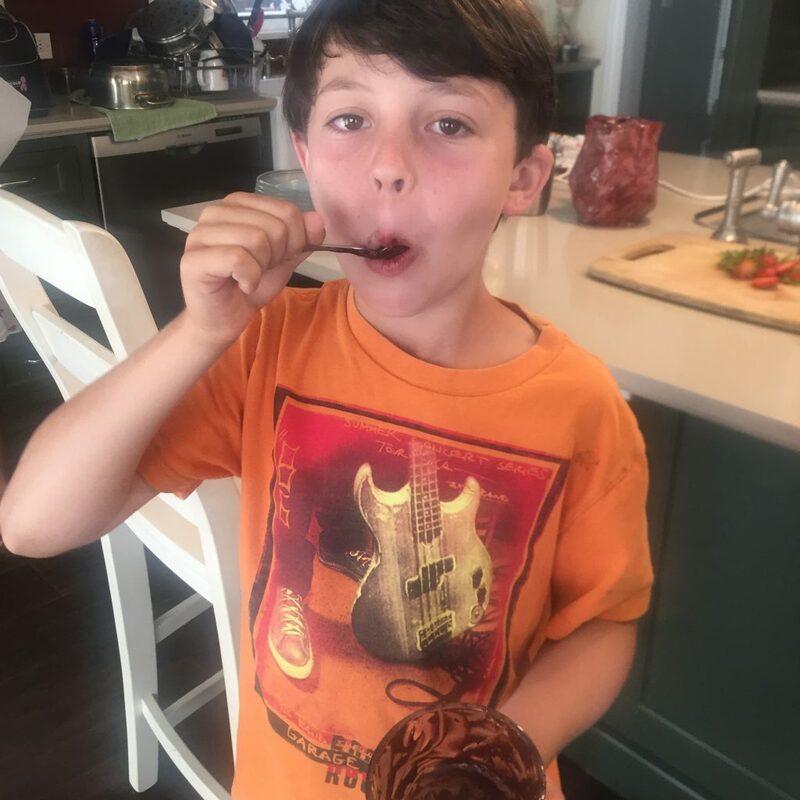 We each chose a recipe out of a cookbook, Sweet Laurel, and this cookbook is filled with delicious recipes for desserts, snacks, and sometimes even early morning breakfasts. All gluten free! When they arrived we went into the kitchen to start our bake off. 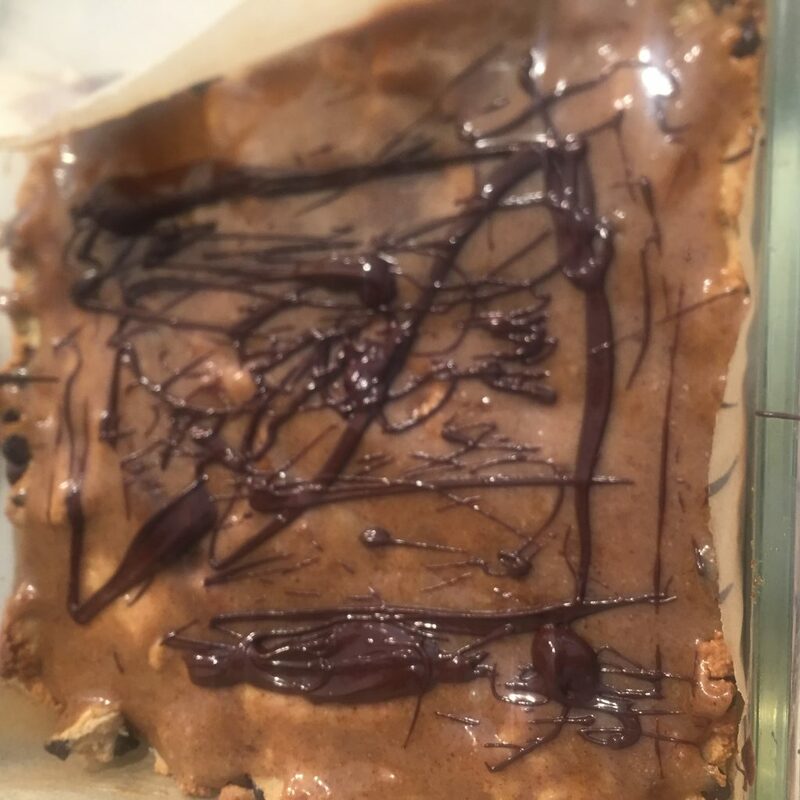 Anyway, the recipe they chose was for blondies with caramel sauce dripped all over the top of them, but we all agreed that the caramel sauce tasted more like almond butter. But still so good. We made the blondies and then it was time for our recipe. We chose the strawberry meltaway pie, which is just basically an ice cream pie but this one had strawberries and walnuts and gooey chocolate smack dab on top. 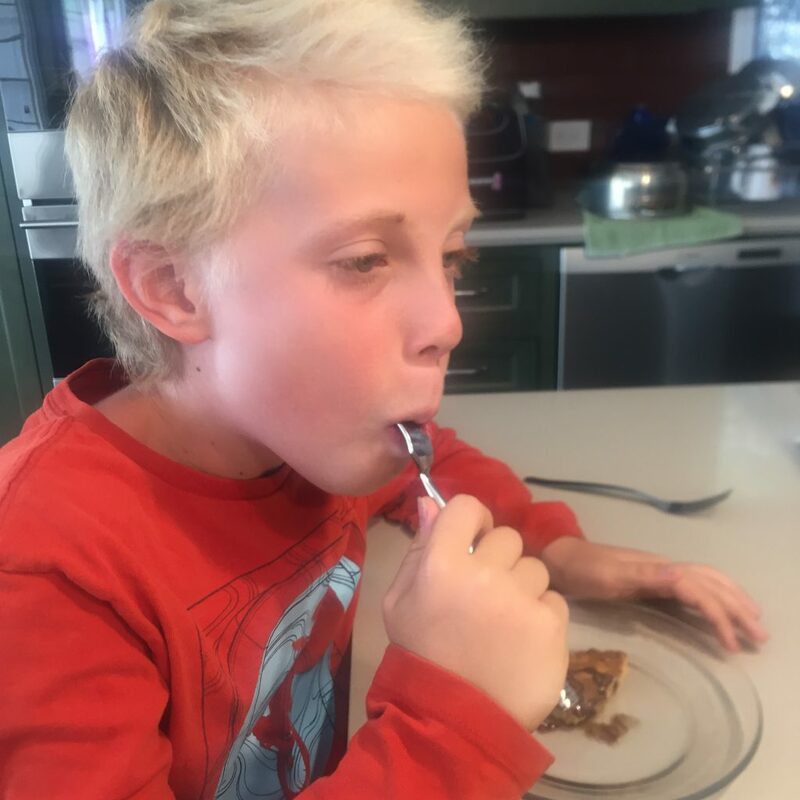 We chose the Blondies for our first recipe and made those adapting it here and there for our needs. Then we started the pie. We got the chocolate and the strawberries and the walnuts and it looked really good and we were all stealing chocolate chips. Finally, me and Henry went into the pool when the pie was in the freezer and the blondies were in the oven because there was nothing else to do. When the blondies were ready to eat, we came inside. So we got the blondies out, and let me say-they were really good. With the chocolate drooled all over them these blondies were sweet, delicious and mouthwatering. Yum! I want to recommend this cookbook to everyone. The photos are incredible and the recipes are even better. Just looking at the photos will make you want to make the recipes and will make your tummy rumble. You can be sure that I will be making more recipes from this cookbook too. 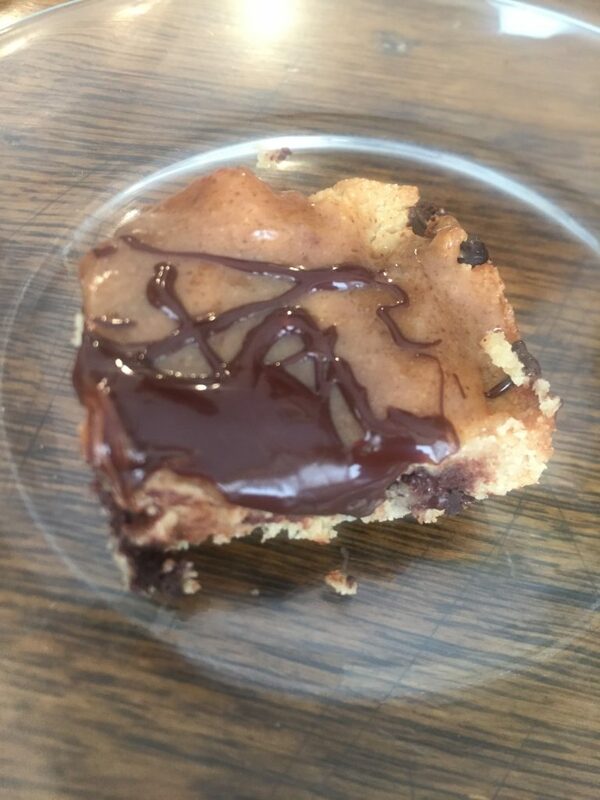 Here’s the recipe for the Blondies, adapted somewhat for our needs. Eat and enjoy! 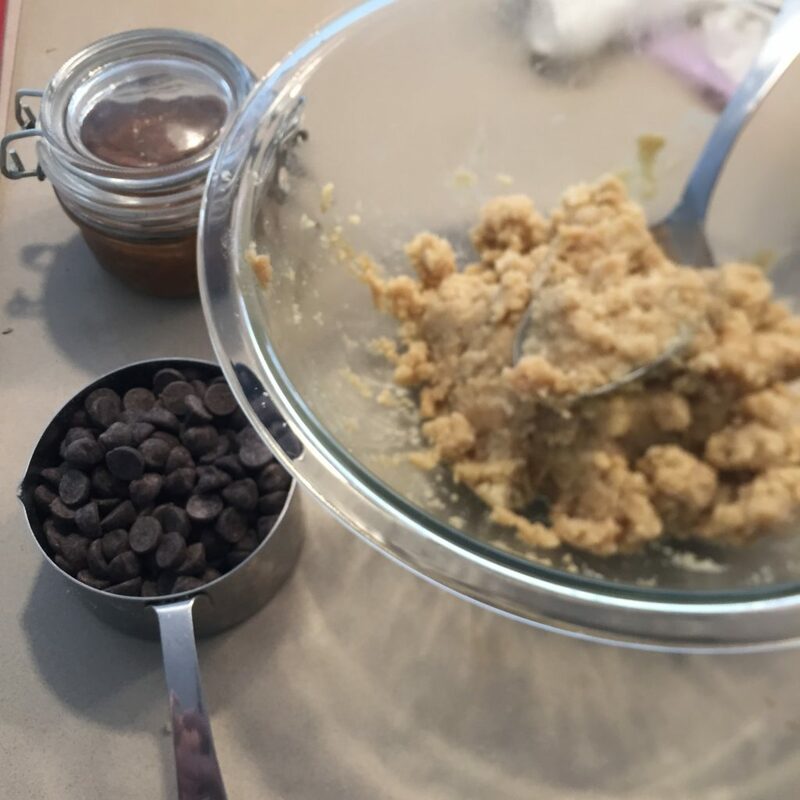 To make the chocolate drizzle, put remaining chips in a glass bowl. Either in a microwave or in a double boiler.